The Lord is nigh unto them that are of a broken heart … (Psalm 34:18). The God of the Bible is the God of the brokenhearted. The world cares little for broken hearts. Indeed, people oftentimes break hearts by their cruelty, their falseness, their injustice, their coldness – and then move on as heedlessly as if they had trodden only on a worm! But God cares. He has sent Me to bind up the brokenhearted (Isaiah 61:1). We look upon trouble as misfortune. We say that the life is being destroyed which is passing through adversity. But the truth which we find in the Bible does not so represent suffering. God is a Repairer and Restorer of the hurt and ruined life. He takes the bruised reed, and by His gentle skill makes it whole again until it grows into fairest beauty. The love and grace of God minister sweet blessing of comfort and healing to restore the broken and wounded hearts. My strength is made perfect in weakness (II Corinthians 12:9). When we are conscious of our own insufficiency, then we are ready to receive of the Divine sufficiency. Thus our very weakness is an element of strength. Our weakness is an empty cup which God fills with His own strength. You may think that your weakness unfits you for noble, strong, beautiful living, or for sweet, gentle, helpful serving. You wish you could get clear of it. It seems to burden you – an ugly spiritual deformity. But really it is something which He will transform into a blessing, a source of His power. He healeth the broken in heart, and bindeth up their wounds (Psalm 147:3). 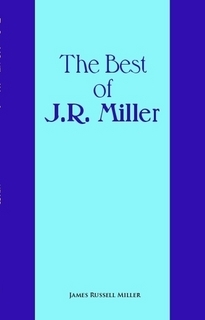 Miller was a prolific author, born of Irish/Scottish decent to James Alexander Miller and Eleanor Creswell, near Frankfort Springs, Beaver County, PA. He was a graduate of Westminster College (New Wilmington, PA), Allegheny Theological Seminary (Allegheny, PA). 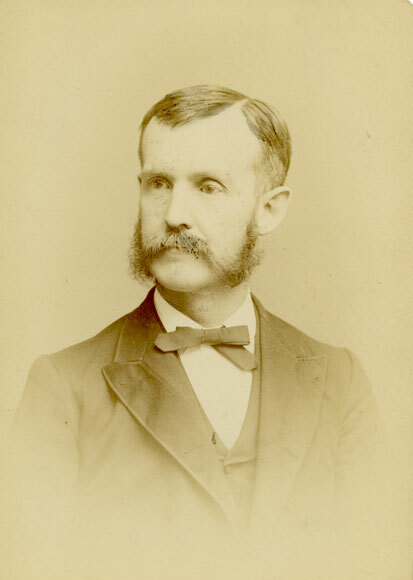 Miller pastored churches in New Wilmington, PA, Philadelphia, PA, and Rock Island, IL. He was the author of over 60 published books, as well as countless booklets and pamphlets, and also served as supervisor of over two dozen periodicals with a combined annual circulation of over 66 million copies at the time of his death.